Most children (and most adults, let’s be honest) dream about the things they would buy if they found some money. However, this 7-year-old is making headlines after she did something truly special with a winning lottery ticket she found. In this season of thanks, Phoebe Brown decided to donate the $100 winnings from the lottery ticket to those in need. Brown was out shopping with her mother in their hometown of Independence, Missouri. The two were walking around a local Hy-Vee store and the young girl noticed something on the ground. She saw several lottery tickets scattered all over the floor and went to pick them up. Much to her amazement, one was a winner. She went to go show her mother, Audrey Brown, the winning ticket. At first, her mom didn’t believe her. But upon closer inspection, it was a $100 winner indeed. Immediately, they began to wonder what they could do with the money. Since her daughter had found it, she would decide what to do with it. While most 7-year-olds would likely splurge on a bunch of toys for themselves, Brown was in a giving mood. While she did admit to thinking about buying presents for herself, she instead decided she would help others. She and her mother decided to pay it forward and to help those in need with the money. They spent the $100 on groceries, and then donated them to her school. Both parents were extremely proud of what their daughter chose to do. Her father, Joshua, said that its good to know that children are thinking about others, especially around Thanksgiving. In fact, the Brown family has been through their fair share of hard times and relied on the help of others. Because of this, it felt really good for the family to give back. Sycamore Hills Elementary (where Brown attends) had been collecting food for the less fortunate as part of the Independence School District’s 150th anniversary. Overall, the district collected more than 1,700 cans of food for the needy. Of those 1,700 cans, 541 of them came from the second-graders, led by Brown. The individuals receiving the food would be members of the school district who are less fortunate and could really use the help this holiday season. Brown’s donation also helped her school win the award for the most food donated. As a prize, the second-grade class got to shave off the bushy beard of their gym teacher, Herb Horseman. People are giving this young girl a ton of credit for being very selfless. 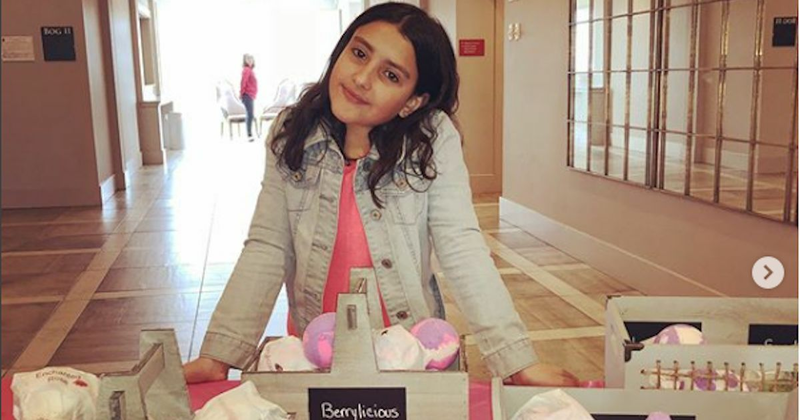 As for how she decided to buy food and donate it with the money, Brown gives her parents the credit for instilling positive moral values in her. She claims that they taught her to be grateful for what she has and to be kind to others.